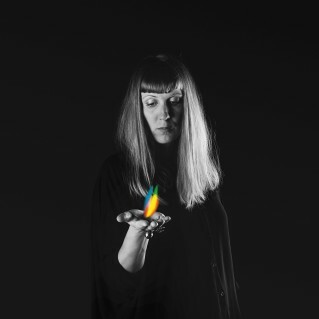 Finnish indie pop stalwarts Burning Hearts (Jessika Neuman and Henry Neuman) are back! A dreamy electro folk pop band specialised in writing timeless songs with beautiful female harmonies, poetrylike lyrics and a sound closely attached to nature. Their first album ‘Aboa Sleeping’ and second album ‘Extinctions’ have received tremendous amounts of love and listening and has taken the band to New York, Paris, Hamburg and the major venues in Finland. Extinctions was even VICE´s Best album of the month at that time and now with two critically acclaimed albums, a host of packed-out festival appearances and a formidable dose of musical experience already under their belts, these Finns are a real force to be reckoned with. Let´s hope Burning Hearts gets the attention it deserves with their new releases. Jessica and Henry have done the hard yards and gifted us with expertly crafted pop gems, now its the turn of purveyors of independent pop music to repay the favour. New album Battlefields and singles “Work of Art”, “Bodies as Battlefields” and “In My Garden” mixed by Tomas Bodén (who has mixed also latest Radio Dept. album “Running Out of Love”) and mastering by Svenska grammofonstudion. Did you want to save me?